For us, the best safari is not just about seeing the big five. Experiencing the wilderness, spending a night out fly camping under the stars, getting out of the 4WD and exploring on foot or horseback, spending some laid back time with the Masai practising with spears and making bows and arrows, these are the things that bring your safari alive. And not just that, they give you a sense of Africa that you will never get if all you ever see is the inside of a 4WD and luxurious camp. 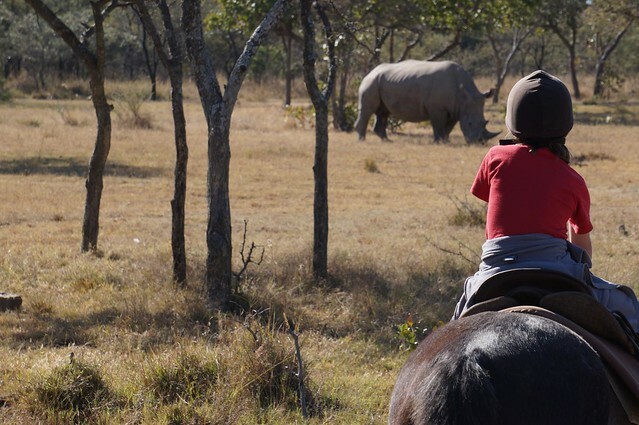 In our experience children love game drives initially, but depending on the child, their enthusiasm will start to wane after a couple of days of back to back morning and afternoon game drives. 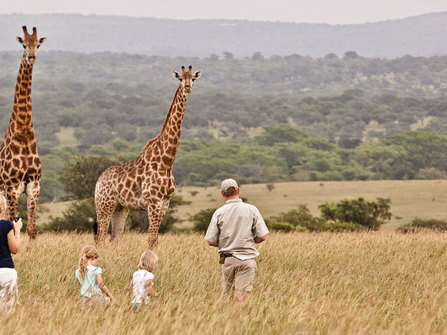 So a safari that mixes things up with some game drives, some more active time and some time exploring Africa's stunning wilderness areas always works brilliantly for families. The five once in a lifetime experiences we have picked out here are the places that have really stood out for us and consistently get fantastic feedback from families. Amongst them are some of our favourite places in the whole of Africa, places we'd happily visit again and again year in and year out with our own families. Ants Nest may not have the big five, but they do have plenty of plains game and the views are to die for. Spend your days on bush walks, horse riding amongst rhino, giraffe, zebra and wildebeest or heading out for an overnight at the bush camp. This place really comes alive for horse riders, but is great fun for beginners too. Non-riders can have lessons, or if you prefer to stay on the ground, then there are walking options and game drives instead. This the kind of place where you wish you'd booked in for a week. See here for more details on Ants Nest. The perfect antidote to a more traditional safari in the Kruger area, the Blyde Canyon is one of the largest and most spectacular canyons in the world. 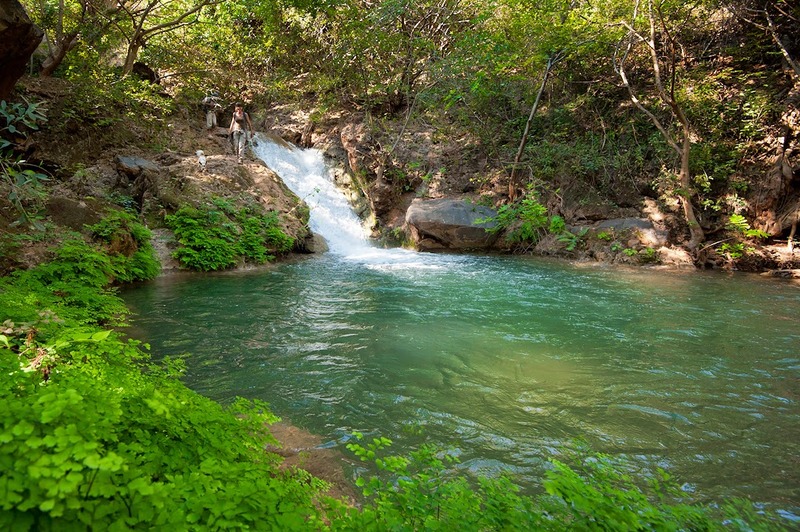 The Blyde Canyon River Adventure really gets under the skin of this spectacular location heading well off the beaten track with a superb local guide exploring hidden view points, undiscovered caves and swimming holes. An absolute highlight. See our Kruger, Cape Town and Blyde River Adventure. In the Northern wilderness of Kenya, Laikipia with its vast area of bush, rocky kopjes and streams offers one of the finest wilderness safari experiences in Africa. Elephants, black rhino and wild dogs all thrive here and although it doesn't compare to the Masai Mara in terms of the big cat populations, there is a good chance you'll see a lion or leopard. With such a vast area and so few camps, you really have the place to yourself out here. What really marks Laikipia Wilderness Camp out though are the guides and the experience. Expect an itinerary tailored to your family, with fly camping out in the wild, messing about in the river, meals served out in the bush and sundowners atop rocky kopjes, it is quite simply, Africa at its best. See here for our Laikipia Family Holiday sample itinerary. A true adventure. There is nothing quite like heading out on foot into the bush, without forsaking the comforts of a comfortable camp, bucket shower and cold beer at the end of the day. Walking through the bush, you quickly learn how to identify footprints and dung and stay downwind of the wildlife. Waking up in the night to the sound of hyenas sniffing around camp, you know you are in for a real adventure. 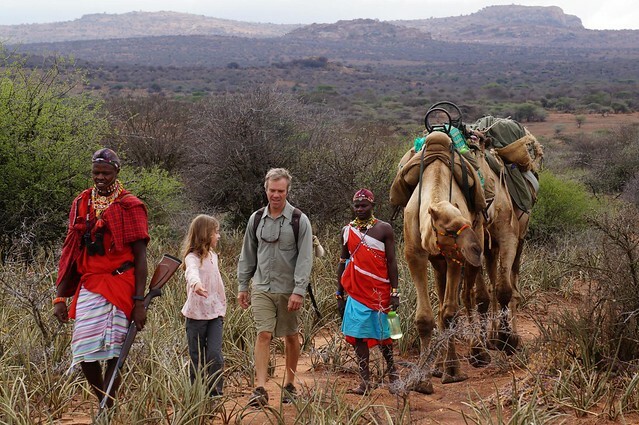 What makes these walking safaris perfect for families is that the children can ride the camels. There are no shortage of cultural manyattas in Kenya and Tanzania, but all too often these are pretty dire, places where big lodges can ship in their guests for a couple of hours to buy trinkets. However done right, spending some time with people from a vastly different culture than our own can be fascinating, fun and rewarding, especially for families. Magi Moto is an inspiring eco camp on the approach to the Masai Mara with a warm welcome and a big heart. We camp here and head out on bush walks with the Masai learning about medicinal plants, learn how to make a bow and arrow and sit around the camp fire trading stories. 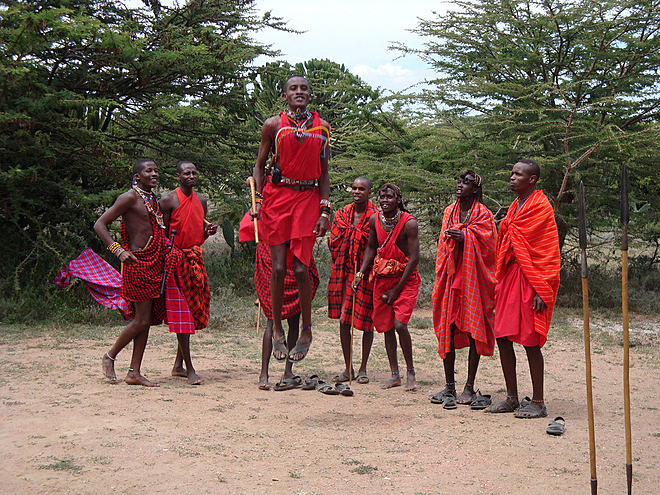 Our Maasai Family Adventure includes overnight camping at Magi Moto.